The Happy Hangman's Not-So-Evil Twin will be commencing this season's Old Town Tour on 4th May 2018. 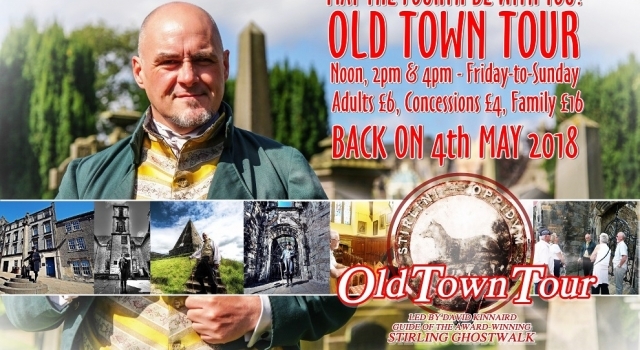 Discover the oddities of Stirling's history - and that the facts of Stirling's past are often far weirder than the myths and legends recounted on the Stirling GhostWalk. Tours are at Noon, 2pm and 4pm, Friday-to-Sunday, from May to September - meeting at the gates of the Old Town Jail, St John Street.